When you set foot into the 'Brass City' of Uttar Pradesh, you shall know that it is a famous cultural hub. 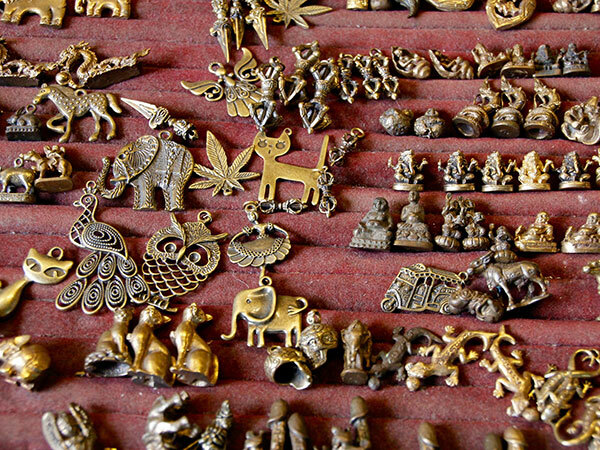 Moradabad's brass items have made a significant presence worldwide and the products can be found all across the globe! A rich heritage is flaunted by the city which has a tinge of both the Hindu and Muslim cultures and it reminds us of how diverse a country India is. Quite a few things around Moradabad are extremely praiseworthy. Be it the Raza Library in Rampur, possessing a repository of Indo-Islamic heritage with more than 30,000 books or be it the mind-boggling music, dance, cuisine and architecture. What about the religious aspect of the city? Sai Temple and Jama Masjid are most talked about. A marvellous piece of architecture is definitely the Najibudaulah's Fort located quite nearby. Tourists are mostly attracted to Prem Wonderland and Water Kingdom, Vidur Kuti, Sita Temple, Kanva Ashram and a lot more to add to your excitement. Did you know that Moradabad interestingly was a part of several dynasties like Nanda, Panchala, Maurya, Mughal, Gupta and Maukhari? If we go back to 1624, Rustam Khan, who was the governor of Sambhal, conquered the region and named it 'Rustam Nagar'. It went on to become a province of the Rohilkhand State in the 1700s. Rohilkand was also captivated by the British who separated it into two districts: Bareilly and Moradabad. The city has a lot of feathers in its cap to flaunt. One such fact could be that it was a part of the First War of Independence in the year 1857. But the part worth recalling and storing in our memories is that soon after India was a free country in 1947, Moradabad became a part of Uttar Pradesh. 1980 was a time period when the brass industry was in full form and thus, aluminium and iron industries also began to see growth. By Air: The closest airports shall be Pantnagar Airport and Indira Gandhi International Airport in Delhi which are at a distance of 85 km and 185 km from Moradabad. By Road: When it comes to roads and highways, Moradabad is extremely well-joined to the rest of the country. It is the National Highway 24 which joins it to New Delhi as well as Lucknow via Bareilly, Ghaziabad and Sitapur. By Rail: Talk about a busy railway station, it has to be the Moradabad Railway Station which is the busiest. You shall find passenger trains to New Delhi, Kolkata, Ahmedabad, Lucknow, Chandigarh, Bangalore, Amritsar, Jammu, Hyderabad and Chennai. When do you think visiting Moradabad would be the most favourable? It is said to be the winter season lasting from November to February when the weather is quite soothing and temperatures range from 5°C to 25°C . However, it is better to be ready to deal with the mercury levels with few woollen and warm clothes, as they can stoop really low. A huge follower of Sai Baba? Join your hands and enter the temple near Shri Sai Karuna Dham in Moradabad. The main deity of the temple, which is Sai Baba shall bless you and welcome you with open hands. People believe that he has magical healing powers and has proved the Oneness of God, who is also given a referral as 'Sabka Maalik Ek'. 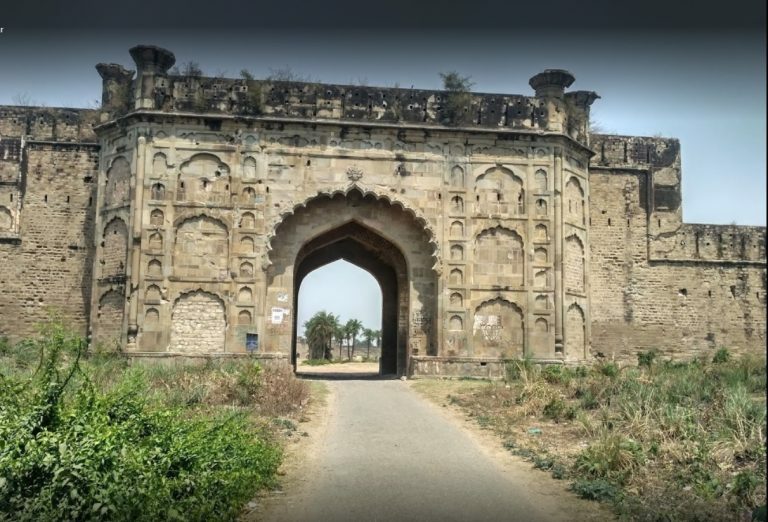 Located in the Rampur district of Moradabad division, it is established as the heritage site for Indo-Islamic culture. Do you know who was the ruler of Rampur between 1774 and 1794? Nawab Faizullah Khan. And guess what! The Raza Library was also built by him. Numerous historic manuscripts and miniature specimens of Islamic calligraphy are greatly preserved here. If you remember the year 1855, Nawab Yousuf Ali Khan Nazim, an Urdu poet, decided to handle the library while being aided by the fabulous poet Mirza Ghalib. Nawab Kalbe Ali Khan also added a unique collection of manuscripts to the library which you shall be surprised to know that belonged to the sacred book of Quran, which he had carried with himself from his Hajj pilgrimage. It is the greatest source of entertainment in Moradabad which is located in the outskirts of Moradabad district. A huge variety of water rides are available during the summer season. There are food courts present in the park which serve yummy Indian food. The amusement park is ready to amuse you with thrilling rides all year round from 10 am to 7 pm during winters and 10 am to 9 pm during summers. Entry fee is INR 200 only for the amusement park but INR 450 for both parks combined plus two rides. You shall definitely have an adrenaline rush with water slides, spray grounds and splash pads where everyone can rejuvenate. There are group discounts as well as attractive packages for college students as well. If you talk about an engaging sightseeing attraction of Moradabad district, it has be 'Vidur Kuti' which translates to 'the ashram of Vidura'. After having an ugly fallout with Duryodhana, this is where Vidura spent the rest of his life. One very important role played by Mahatma Vidur is that he undertook the safety of all the wives of children of both the Kauravas and Pandavas during the Mahabharata. But Vidur did not find the space to be enough for everybody to stay and hence an area was specially designed for the ladies and children, now referred to as Daranagar. This fort emerged in the 18th century and was built by 'Gulam Kadir' or more famously known as 'Najibudaulah'. It still stands strong today and it shall surprise you to know that the fort was the abode of Sultana Dakoo during the British period. What is keeping you waiting? Let your next destination be Moradabad, UP.